FC Barcelona, one of the most known club in European football will face FC Schalke, a club that is somehow new to the modern Champions League on April 1, 2008. We all know that FC Barcelona is a very famous and one of the clubs who dominated in football in the past years and even today but, we also know that the "ball is round". 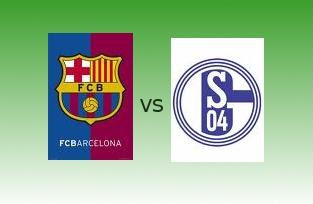 Anything could happen in the match, it could be another win for FC Barcelona or a win for FC Schalke. But there's one thing for sure! This could be one hell of a match.